Zambian born human rights expert Professor Muna Ndulo, William Nelson Cromwell Professor of International and Comparative Law, Cornell Law School and Director of the Institute for African Development has been appointed by the UN Secretary General, Antonio Guterres to the Civil Society Advisory Board. The Secretary General, in his report to the Security Council on “special measures for protection from sexual exploitation: A new approach” (A/71/818) pledged to create a Civil Society Advisory Board to enable the United Nations to have closer interaction with civil society, external experts, and non-governmental organizations in its efforts to combat sexual exploitation and abuse. The Board is composed of 7 members with relevant experience dealing with issues related to peace operations, humanitarian activities, human rights, criminal investigations, child rights or gender based violence. The Advisory Board shall provide advice to the Secretary-General, in response to a request from the Secretary General or on its own initiative, on strengthening preventive measures and accountability mechanisms and victim support and assistance to address sexual exploitation and abuse by both United Nations personnel and non-United Nations forces operating pursuant to a Security Council mandate. Caution to PF, now any abuse goes directly to UN Secretary-General, more exposure. 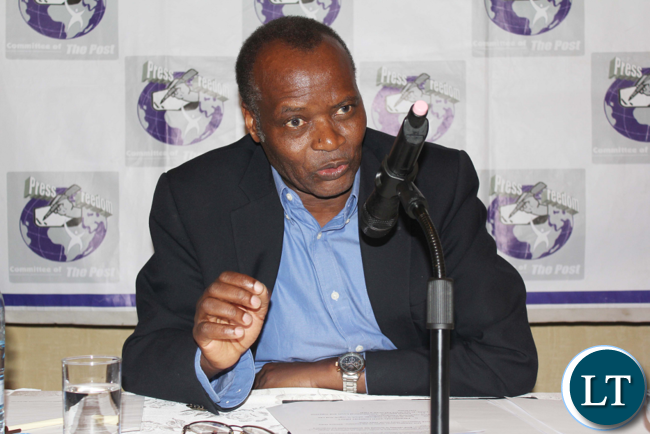 In the past, Prof. Muno has been critical of some of PF actions. Did you two “learned” jerks have read “Bill of Rights”? Please enlighten me which provision deal with “Right of Ownership”? These are the men not entrusting important tasks such as constutional drafting with fishermen and capenters. Cadres are held with higher esteem than men and women of exeptional abilities your Dambisa Moyos,Prof Clive Chirwa,Magande ,Mbazima at anglo,Pius, and the like. Nowonder we such a sorry lot. He’s now an American, Zambian only by birth. Known as Baron Ndhlew(pronounced Ndlu) at Munali. Has done well academically. Congratulations! He easily gets confused once he fraternizes with Hichilema. Zambian born? Where are the rest of Zambians born?